A detailed guide comparing the most popular UHS-II and UHS-I memory cards for the Sony RX1R II. All the Sony mirrorless cameras at the time of the Sony RX1R II’s release had a memory card write speed bottleneck of around 32-35MB/s. This is because Sony is still using very old chips that manage the bus speed of the read write access to the memory cards. Although this is no fun, it likely contributes to low cost of their cameras and it’s likely to improve very soon. Because of this bottleneck, most of the top brand memory cards perform almost the same, which you can find in the data below. Since the disparity between the cards is almost negligible, finding the best card really becomes a thing of looking at USB 3.0 read write speeds as well as warranty. Although the newest Sony card isn’t that fast compared to the other cards, it’s only marginally slower and from my experience they seem to perform better when it comes to shooting video in most Sony cameras. Or what I mean is, the camera is not as likely to reject them. If shooting video is your thing I recommend sticking with Sony brand cards. For some reason Sony cameras just don’t like some cards and the camera will reject the card when trying to shoot video. I don’t know why, it seems to functions on a per camera bases not a per card basis. Meaning, my Lexar 633x will work fine in some Sony cameras I rent, but not others. To eliminate any frustration just stick with Sony brand cards if you’re planning to shoot video. Most Sony cameras use to require SDXC memory cards, meaning 64GB or higher. But lately Sony has been putting out firmware to fix this. So to eliminate any potential headache, be sure to buy a SDXC memory card that is type U3. UHS-II Memory Cards are they worth it and will they work? 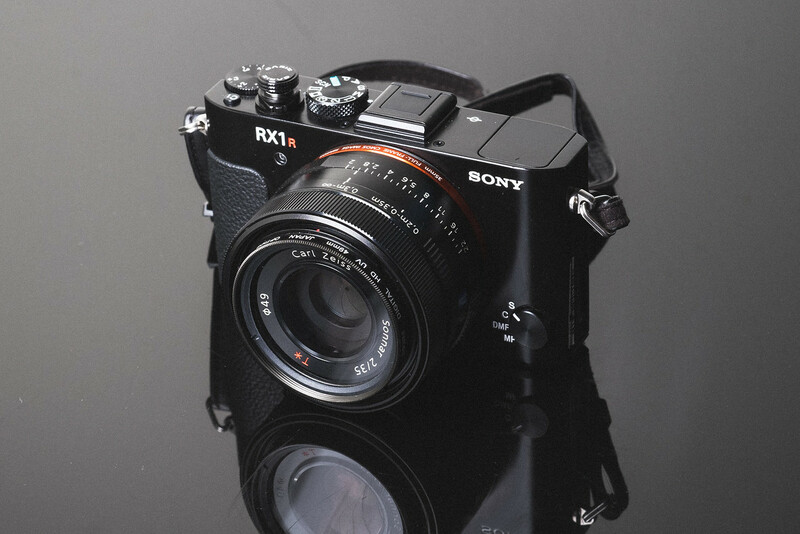 Short answer is yes, they will work in the RX1R II, but with limited speeds. However, if you’re a casual shooter, they probably won’t be worth the higher price. Right now UHS-II SD memory cards are the fastest you can buy, but few cameras can take advantage of them. If you like to buy large cards and find yourself filling them up a lot, then those UHS-II speeds can really benefit you when it comes to transferring the data to your computer. Really nice for studio photographers. Be sure if you do get UHS-II cards to also get a UHS-II capable memory card reader found here. And also make sure you have either a Raid or an SSD to dump the data too otherwise those UHS-II transfer speeds won’t matter because you’re bottleneck will be with your hdd. If you want a card that’s blazing fast at USB 3.0 transfer speeds to your computer, then go with a UHS-II memory card. If you want the fastest camera at the best price, stick with UHS-I. If you want a card that will last you for years, be sure to look at the warranties. A higher warranty usually means better lifetime flash cycles, which means more photos taken over the years without risk of corruption. For Sony cameras I usually just stick with UHS-I cards, since they’re not very expensive and always coming down in price.